ISIS’ New Top Commander In Iraq Was Trained by US Special Forces – Coercion Code – "Dark Times are upon us"
A few days ago, word got out that Mohammad al-Adnani, ISIS’ main propaganda officer and a prominent leader of the Islamic State had been killed. Al-Adnani had been the unofficial spokesman of ISIS as well as second in line after Abu Bakr al-Baghdadi. Now just days after his death, his spot has been filled by Tajik Special Forces colonel Gulmurod Khalimov , who swore jihad against the West last year. Now that Khalimov is in this new position, the United States is facing major humiliation – because it turns out that Khalimov had actually been trained by American advisors. 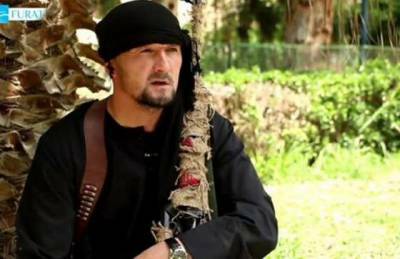 Khalimov defected to ISIS last year, and was welcomed with open arms because of his familiarity with the U.S. military and its intelligence strategies. For the American-trained former Special Forces colonel, this training paid off tremendously, as he was promoted quickly by the terrorist organization and soon became an Iraqi battlefield commander. This move was unusual for the Islamic State, because traditionally only “second and third ranking commanders who lead militants in [Nineveh] province” lead Iraqi forces. These particular militants stay low so that they cannot be “detected and destroyed” by US Forces in Iraq. Previous Previous post: Does Hillary Have Health Issues: Parkinson’s Disease?